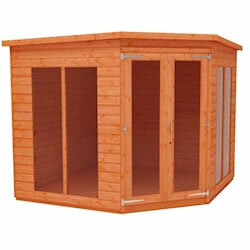 Our 7x7 wooden garden sheds are ideal for corner spaces. 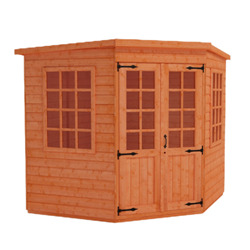 These buildings are strong and sturdy, manufactured from tongue and groove shiplap with tongue and groove boards for the roof and floor. 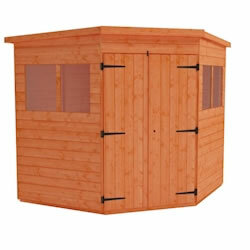 Our sheds feature high quality timber and attractive fittings, and are supplied with all the necessary fixings for your convenience.